Girl Scouts encourages girls to grow their faith and is based on the Girl Scout Promise and Law, which includes many of the principles and values common to most faiths. Although a secular organization, Girl Scouts has, since the movement began, encouraged girls to explore their spirituality by earning the My Promise, My Faith pin. Throughout this journey, girls open up conversations with women in their religious community, research inspiring quotes that resonate with the part of the Girl Scout Law on which they have chosen to focus, and create a work of art to express what they’ve learned with their friends, family, and possibly even the larger community. 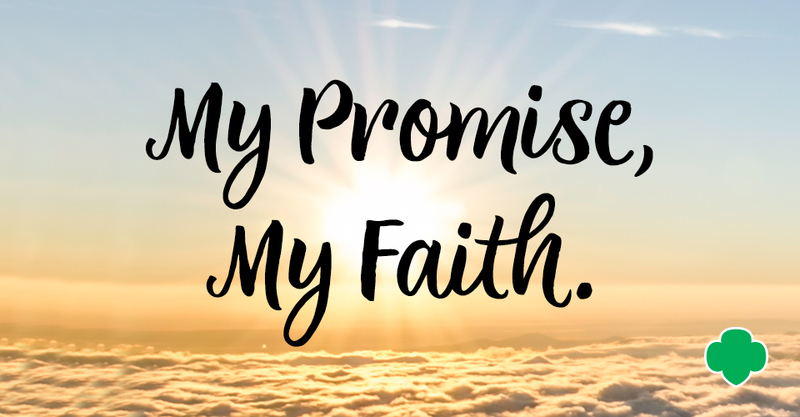 Girls of all grade levels are eligible once each year to earn the My Promise, My Faith pin. Learn more about how to get started. What do you do on World Thinking Day?